The eldec MIND System is configured using proven common components. Module selections include part specific tooling such as automation, workholding and inductor coil, base machine, energy source and cooling / quench systems. Individual solutions are easily created using time-proven components. In the development of the MIND Series of induction hardening machines, top priority was given to create maximum flexibility for maximum productivity. 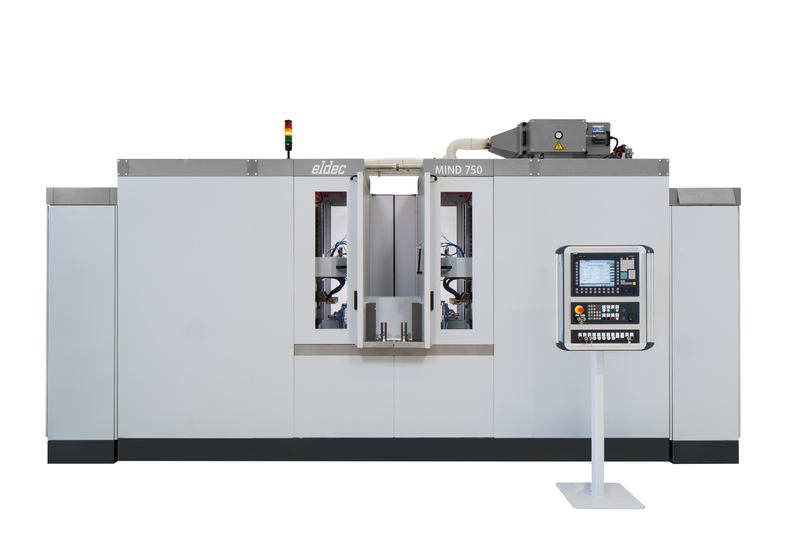 Depending on workpiece, desired hardening pattern, lot sizes and additional quality concerns, the eldec MIND System is configured using proven common components. 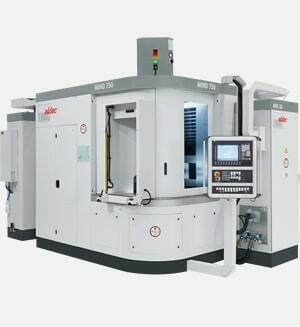 Module selections include base machine, energy source, cooling / quench systems and part specific tooling, such as workholding, automation and inductor coils. 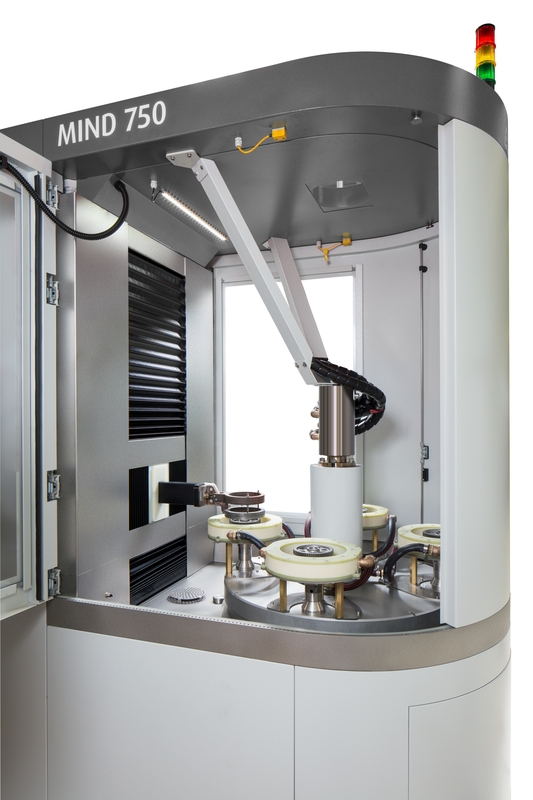 Thanks to this well thought-out modular design for induction hardening, individual solutions are easily created by using time-proven components: Customization without the hassle of a piecemeal, one-of-a-kind design. 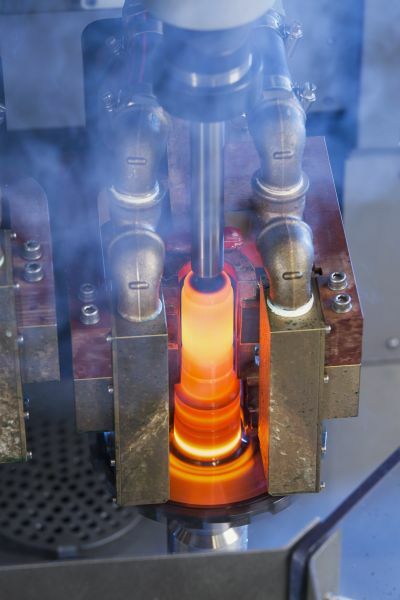 The result leads to increased system availability and state-of-the-art technology in induction hardening for the best price possible, guaranteeing lowest life cycle cost. The base frame of the MIND Series is built with solid, highly accurate stress-relieved welded components. The drive technology, slides and motion control system are state-of-the- art and comply with the latest DIN and CE requirements. To ensure precise induction hardening, it is essential that the control and measuring technology is customized to the requirements of today’s heat treatment tasks: Process energy sensor control, deviation fault monitors, data recorders, quench volume and temperature control, for example. 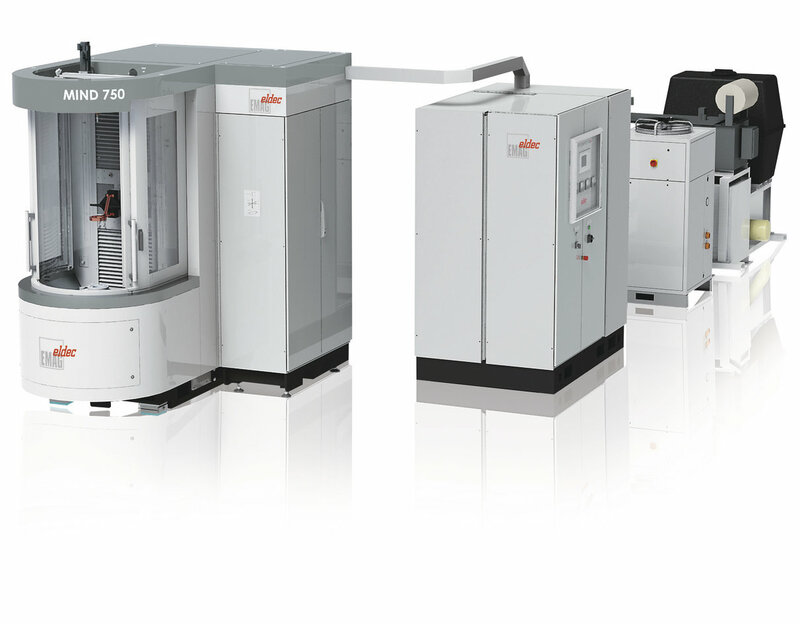 eldec MIND 750 induction hardening machines can be configured to perform a wide variety of induction hardening tasks – whether as a manually controlled stand-alone solution, as a heat treatment system with individualized levels of automation or also as in-line, single-piece flow hardening cells, totally integrated in the process chain between soft and hard machining in accordance with customer requirements.